The 'Gay Pride' parade visitors have to be a bit careful when and where they behave gay, even if 'Everyone's Gay in Amsterdam' as they say at the NBTC, it seems to be rather dangerous to kiss and hold hands in the best city in the world, at least when both persons involved are men...last week Hugo Braakhuis, the organizer of the 'Gay Pride' was beaten up by a group of Moroccan&Dutch guys after kissing his friend in public! 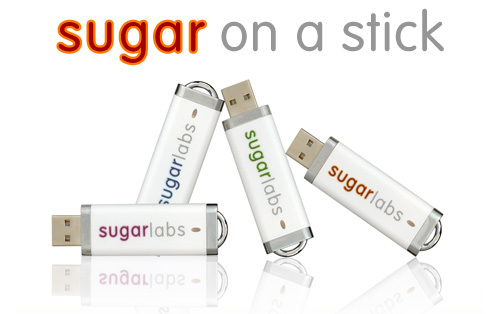 Sugar on a Stick is the latest project of the 'Sugar Labs'...who are they and why are they offering me free candy you ask? Well, here's what they want: "The mission of Sugar Labs� is to produce, distribute, and support the use of the Sugar learning platform; it is a support base and gathering place for the community of educators and developers to create, extend, and teach with the Sugar learning platform.". Sounds neat-o, don't you think?! "In the United States, Independence Day, commonly known as the Fourth of July, is a federal holiday commemorating the adoption of the Declaration of Independence on July 4, 1776, declaring independence from the Kingdom of Great Britain. Independence Day is commonly associated with fireworks, parades, barbecues, carnivals, fairs, picnics, concerts, baseball games, political speeches and ceremonies, and various other public and private events celebrating the history, government, and traditions of the United States. Independence Day is the national day of the United States." Mobile phone shot of tour posters of 'The Game', in front of some windows reflecting other buildings, in Amsterdam of course. The Game is one of my favorite Rappers, his personal story is very interesting and he's a talented man that made his way into the Rap Biz the classical way, he was a Drug dealer, he got shot several times, loves his Mamma and he is from LA , hahaha. He's going to play in the 'Paradiso' on the 23rd of July! This is a documentary about a boy (Ben Underwood) who has taught himself to use echo location to navigate around the world. Ben Underwood is blind, but has managed to do some truly extraordinary feats. The 'Telegraaf' thinks that Amsterdam is caught up in an absurd Soap-opera surrounding the magnitude of silly rules regulating life&pleasure in the best city in the world (here's an English translation of the article). The wicked cool website 'GeenStijl' even fears that the Netherlands are in the hands of a bunch of religious Nutjobs that want to exterminate all forms of fun and impose a Nazi-state like construct on this little country that could, including 'GemeenteGestapo' and all that (English translation here! )...strong words from people that know! It seems that now the good folks of city hall can enter your house at any time for a 'Check-up on your living conditions', without your permission...wow!